Do you need areas painted inside of your home? 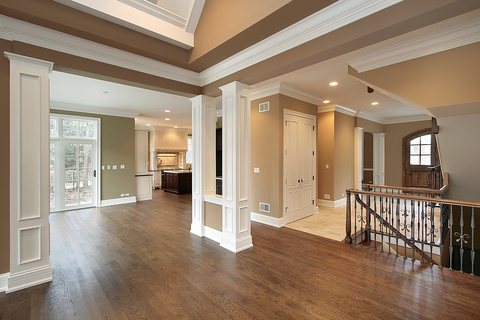 At Pinpoint Painting we can handle all aspects of interior painting. Walls, Ceilings, Trim – no problem! If you are looking to have some areas inside your home painted, let Pinpoint Painting come out and provide a free, hassle-free estimate. Whether it’s one room, a few rooms, or the entire house, the experts at Pinpoint can handle it! It begins with a detailed proposal, outlining all of the preparation and painting that is to be done, and ends with our experienced team of painters giving your home a fresh, clean look! We will even provide a complimentary color consultation if you need some assistance picking color.